Natalie has practiced throughout the state of Florida in civil trial liability matters arising from premises liability, trucking transportation, automobile negligence, products liability, catastrophic injury, labor & employment, negligent security, and many areas in which she now mediates. In addition to her mediation practice, Ms. Paskiewicz also serves as an arbitrator for the Financial Industry Regulatory Authority (FINRA) and the American Health Lawyers Association (AHLA). 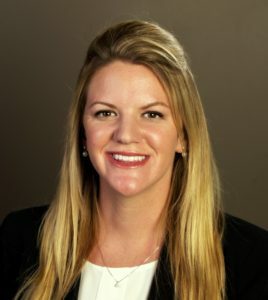 She is an Executive Council member of the Alternative Dispute Resolution section of The Florida Bar and serves on the Board of Directors of the Clearwater Bar Association Young Lawyers Division. Natalie is originally from Pittsburgh, PA. She attended Florida Gulf Coast University in Ft. Myers, FL, where she received a scholarship to play on the women’s golf team. While attending law school at Stetson University College of Law, she interned in-house with Minor League Baseball, headquartered in St. Petersburg, FL, worked for well-known TV personality, Judge Judy, and clerked for a Sixth Judicial Circuit Judge. Billed to the nearest half hour. Billing for all services will be divided pursuant to the Florida Rules of Procedure: i.e., equally between those named parties, represented or Pro Se, participating in the mediation unless otherwise agreed upon by the participants. No charge for travel, any pre-mediation preparation or pre-mediation consultation or post mediation telephone conference. — Charles R. Gallagher III, Esq. For your convenience, sessions may be conducted at your office or at court reporting offices throughout the Bay area, southwest and central Florida.